There are some changes this year to the Fun Clubs so please read this letter carefully. The School Fun Clubs will be held on Tuesdays, Thursdays and Fridays only. The clubs will start on Tuesday 19th January 2016 and will run for 6 weeks until Friday 18th March 2016 from 3:30-4:30pm. Please note there are dates the clubs will not be running and these are listed below. Please find listed below details of the different clubs, when and where they will run and the full cost for each club. School Newspaper Y3-6: ICT suite: Miss Hellicar (Max 12 pupils) = £6.00. Tuesday 9th, Thursday 11th and Friday 12th February 2016 – last week of term. We have taken into account suggestions and comments from parents/carers over the last year, with regard to the registration of the Fun Clubs and this will now be done ONLINE through Parentpay only. There will be no need for registration forms or lining up at school to register your child this will be done on a first-come first-served basis online. The Fun clubs available to your child will be listed on the screen, please choose a maximum of two clubs per week for your child.Please ensure when selecting clubs for your children that they are not taking place on the same day! The clubs available to your child will only be listed, for example if your child is in KS1 (Year 1 & Year 2) the clubs available to that child will only be listed.If you have a child in KS2 (Year 3 to Year 6) the clubs available to that child will only be listed.There are a limited amount of spaces for each club - once the clubs are full they will no longer show on screen. COOKING CLUB:Because this is the most popular club, has limited amount of spaces, and to give every child an opportunity to do this club, children who have taken part in Cooking club last term will not be able to take part this term – the club will not be available to you on the screen when registering. GUITAR CLUB ON FRIDAYS: Guitar club (on Fridays only) will be held at lunchtime during school hours (not after school) therefore you will need to collect your child at the normal time of 3:30pm. Registration and PAYMENT (using your debit/credit card) will take place online from 8AM on TUESDAY 12th JANUARY 2016 and WILL CLOSE AT 7PM on FRIDAY 15th JANUARY 2016, giving all parents/carers an opportunity to register and pay for the club of their choice. There will be no other time for registration. If you cannot register your child for a club this term you will need to keep your login details safe and wait until April 2016 for a Fun Club place. Each club will costs £1.00 per session per child (£6 for the term) with the exception of Art & Crafts which is £3.00 per session per child (£18 for the term), Football club (Potential) cost has changed from £2.75pw to £3.00pw. 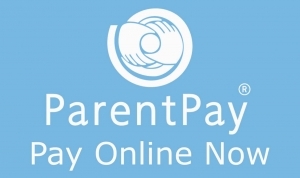 Please note that payments will only be accepted on the Parentpay website using your debit/credit card. Once you have selected your child’s club and have made payment on the Parentpay website, this secures your child’s place in the chosen club. There will be NO REFUNDS given for non-attendance.There will be no changing of clubs once they have been registered online. Please collect your child from the Fun Club at 4:30pm promptly. If you fail to collect your child on time on more than two occasions, this may result in your child losing their place in the club. As you can see from the list, there is a variety to choose from for different years. We have tried to ensure that there are clubs that suit all interests. Please help us make the Fun Clubs a success by adhering to the guidelines explained in this letter.